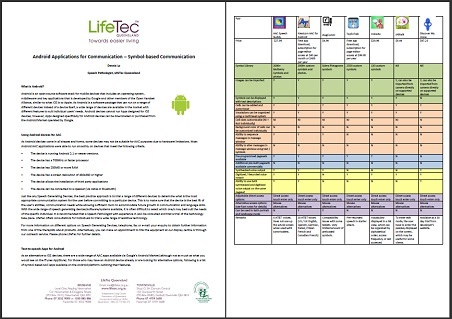 Created by Speech Therapist Dennis Lo, this is the firstcomprehensivenesslist of Android apps for Symbol-based communication. Click here image or here to download a pdf of the list. Lifetec Queensland helps people maximise their independence, making everyday tasks -at home, at work or in the community – more achievable.